My friend caught this Catfish near Orlando Florida in a residential pond. I am having trouble helping him identify the type of Catfish it is. I believe it is one of those walking catfish as it's top fin runs all the way down it's body and the rounded tailfin. 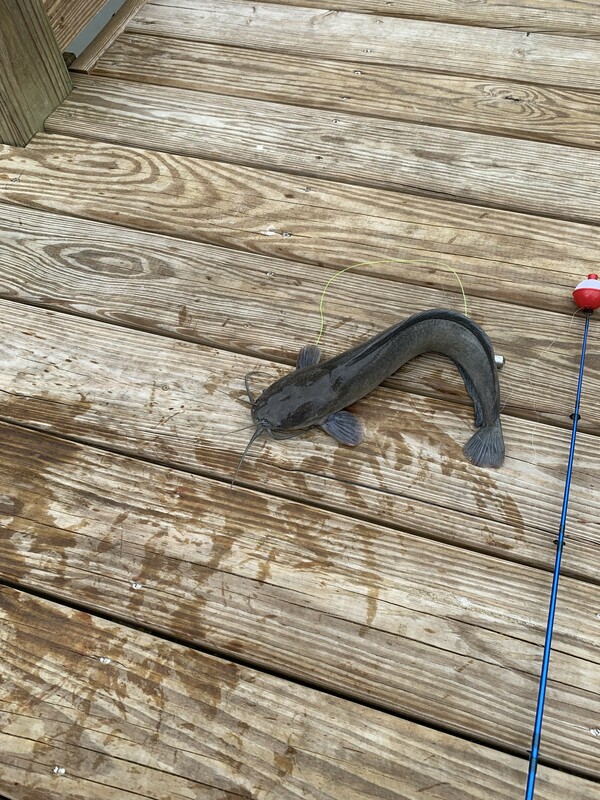 Anyone have any idea what kind of catfish this is? Looks like a walker to me. Looks like a walking catfish but kind of hard to be sure from that picture. The fish above is a walking catfish. Have caught many of them as bycatch while fishing for other species of catfish. They're an invasive from southern Asia. Probably started it's life in an aquarium, then outgrew it, and some well meaning person released it. It's actually amazing how some of these fish survive going from an aquarium to wild like that. You'd think they'd die of stress going from one environment to the other? Walking catfish are known to ''walk'' across land to reach other bodies of water, especially during heavy rains. Have caught many of them in the past +20 years in South Florida including one that was albino. They are a small species of catfish and any over 16 inches is considered a big one. Yup another invasive fish from Southeast Asia and again only in Florida 😥. These fish eat everything from soap to dead animals. They can stay in mud and out of water for a long time. A lot of Asians like it my wife included, but not me never have one. The meat is soft, fatty, oily and kind of yellowish.